Prices are not always as expensive as you might imagine. My pricing is fair and is based on the time and date you require. 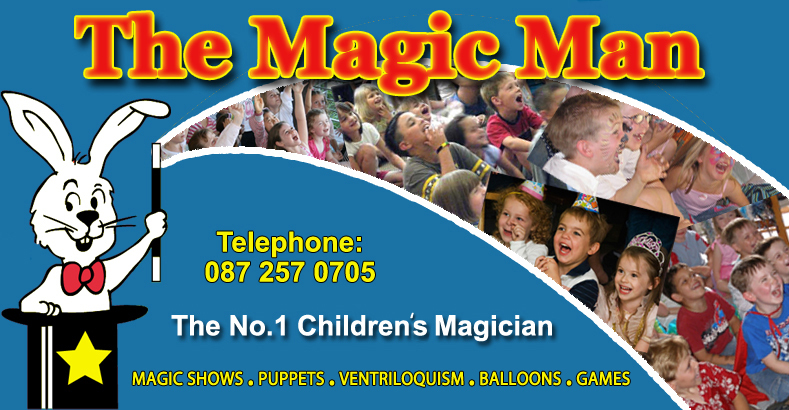 For Birthday Parties in the Dublin, Wicklow and surrounding area: I offer two prices (for a one hour show). 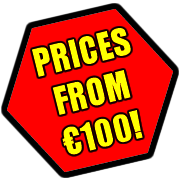 An Early-bird price of €100 and a Standard price of €150. For Family and Social Events, Weddings, Corporate Functions, etc., prices start at €150. Prices are subject to date, length of performance time and (if outside Dublin), travel distance/time. .Additional travel charges may apply for bookings outside Dublin and surrounding areas. Quotations are free and without obligation, so please enquire. Bookings are subject to availability. At some holiday times, prices may be subject to terms and conditions. Just enough space for the audience and myself (but, preferably not in a room full of toys). My show is completely self-contained and experience has taught me to be flexible and to adapt to almost any environment and space available. How long do you need to set-up the show? Do I need to do anything special to prepare for your show? Yes! – Provide a clear space in the performing area for the audience and myself, Make an electric plug socket available nearby. Provide me with a large glass of Cold Drinking Water and that’s it! – I bring everything else with me, Tables, P.A. system, Back-drop etc. Can I serve food during the show? Is the Birthday Child made feel special? Of Course! – Usually they choose the magic words and are invited to take a starring role in the show. However, if they are a little shy they can bring up a brother, sister, or a friend to help as well, or they can help while sitting in the audience. I present them with a magician’s assistants badge and a magician’s certificate during the show and at the end of the show they receive a ‘surprise’ magic gift! If your show is interactive – How do you handle shy children? I never force a child to help in the magic show. What usually happens with shy kids is once they see and experience how much fun the show is and how everyone is having a great time, many times, they too want to be involved and help out with the magic tricks. Do you perform while the children are eating? What ages do you perform to? I do shows for all ages, from 3 years of age upwards, although I have had 2 year olds sit with their parents and thoroughly enjoy the show. How do you entertain such a wide age-range of children? How Many children do you perform to? 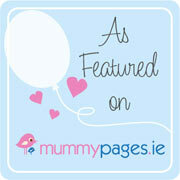 My child loves Puppets and Balloons – Do you have any? Yes! – I have a large range of lovable puppets suitable for different ages and balloon sculpture can be included in the shows too. Do you perform for special needs groups? Certainly, I understand that each audience is unique and the way I perform always reflects that. I find that my sensitive approach pays dividends and I have had many repeat bookings to perform again for the same special needs groups, not just in Dublin, but the surrounding areas. Please feel free to telephone me to discuss how I can tailor my fun-packed magic show to your specific requirements. We saw you recently at a Party – Will it be the same act? Don’t worry – I have an extensive range of tricks in my repertoire and if you want, I can provide a different content of magic tricks especially for you. If there is something that your child particularly wants to see again, let me know and I will make sure it is included. If adults watch your show, will they be bored? Absolutely not! – I have performed many times for family audiences as well as at children’s parties. As long as I know ahead of time, I can adapt my show content to INCLUDE the adults as well. Everyone will have a fun time with amazing memories! – Of course, when I know the party is going to be for a certain age group, I adapt my programme accordingly. What makes a four year old laugh like crazy, does not necessarily entertain a 10 year old! I am a full member of the most important organisations in Ireland for Professional Magicians – The Society of Irish Magicians and The Mystic Circle. I am also, a member of The American Ventriloquists Association and have signed up to the Code of Conduct for Professional Children’s entertainers. Yes! – Unlike many magicians who perform the odd show here and there after finishing their ‘real job’ my magic is my main source of family income. I am married and have two children. I am Dublin based, living in Killiney, Co. Dublin and most of my bookings are in Dublin and the surrounding counties, but no distance is too far. So contact me and I’ll tell you if I can come. I am certainly not the cheapest magician around, but as with most things you get what you pay for. Take a look at what some of the people have been kind enough to say about me on this website or ask to speak to some of them yourself! – Some of the cheaper magicians will probably be great one day, we all have to start somewhere, but those charging significantly less are doing so for a reason. It’s easy! – Simply telephone me on 087 257 0705 and I will contact you or fill out the enquiry form in the ‘contact box.’ Once we have agreed the details, I will give you confirmation of your booking and then put your date in my diary and I will be with you on the day! As soon as possible! – The sooner you make the booking the better chance you have that the date has not been taken by someone else. However, sometimes I can take a last minute booking. Week-ends are very busy and get booked up early. Should you have any questions, not answered in the above list of FAQ’s, please telephone me on 087 257 0705 or click ‘contact & enquiry’ at the top of this page to send an email. Also, it’s a good idea to discuss my availability as well, as my diary fills up quite fast. “Thanks again John, for a job well done - Parents and Children were enthralled". “You were a big hit with all Sarah's friends and Sarah loved your Magic and Puppets". “My child has driven me demented wanting to learn and show me Magic! - Her "one New toy" that she is allowed to bring to school, is the one you that you gave her. You have more than one new fan" -John, Thanks again". “That was the coolest show ever"! I loved helping to do Magic! - It was definitely my best Birthday Party!